Caffeine seems to be what keeps people going. Nearly everyone arrives at work with a cup of coffee, which they refill frequently. Energy drinks and soda are often consumed regularly with meals or as non-alcoholic party drinks. Everywhere you look, someone is consuming a caffeinated beverage. Almost everyone has a family member or friend that is repeatedly reminding them that drinking a lot of caffeine is bad for the body. But is there any validity to their claim? Besides the common claim that caffeine can become an addiction, it can also lead to adrenal issues, such as adrenal fatigue. Caffeine is known to cause several side effects. These are just a few of the side effects of caffeine. The main reason caffeine causes all these side effects is that it causes the release of adrenaline from the adrenal gland. Adrenaline is mainly known for the fight or flight mode it induces. The consumption of caffeine wakes up the body by artificially causing you to enter the fight or flight mode. This mode increases heart rate and blood pressure, causes the redistribution of blood to muscles, and alters the body’s metabolism to maximize glucose levels, particularly for the brain. Consuming high levels of caffeine every day will overwork the adrenal gland and stress the body. controls the fight or flight mode. The body has ways of compensating for adrenal insufficiency. But they are the backup. It is better to keep the adrenal glands working than to rely on your body to make up the difference. But it is hard not to over consume caffeine because it does its job so well. Caffeine does precisely what we want it to do: keep us alert. But have you ever noticed that caffeine is less effective over time, so you must drink more? Caffeine has less effect over time because the body is adjusting to it. Your body does not want to be in fight or flight mode all the time. It adjusts to seeing the caffeine levels as normal, so the caffeine does not trigger a release of adrenaline. It is also important to note that people often drink energy drinks (including coffee) when they are stressed. Stress and caffeine are not a good combination! Adrenal fatigue is a form of adrenal insufficiency that is caused by stress. This stress can be caused naturally or artificially. 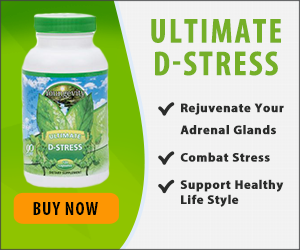 Natural stress releases adrenaline naturally to help you focus on whatever is stressing you. Caffeine artificially releases adrenaline because it makes the body think you are naturally stressed. Doubling the stress doubles the adrenaline alert causing the adrenal glands to overwork more quickly. 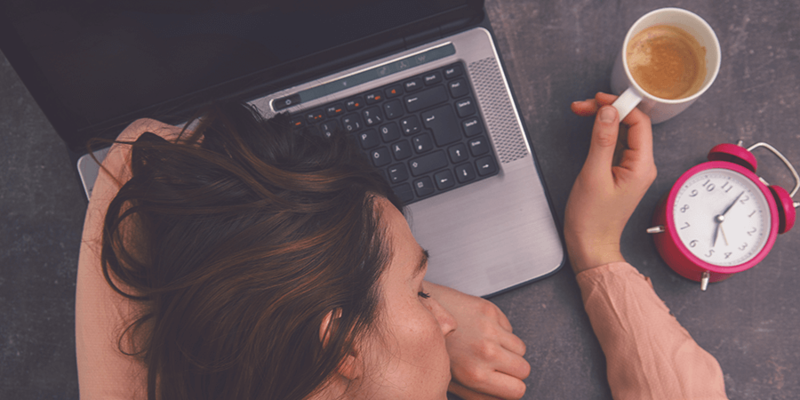 A common symptom of adrenal fatigue is fatigue that never seems to go away, no matter how much you have slept. Adrenal fatigue may cause you to have difficulty going to sleep and waking up, making you need morning caffeine even more. If you have this symptom, cut back on caffeine. Cutting back will help you feel more alert throughout the day. But cutting back can be difficult. The FDA discovered that 80% of U.S. adults intake some form of caffeine throughout the day. Caffeine is not only consumed through coffee and energy drinks. There are many hidden sources of caffeine. When cutting back on caffeine, keep an eye out for these less known caffeine sources. Caffeine is highly addictive, so avoiding additional caffeine when cutting back vital to getting out of the addiction. Even if you are consuming low amounts of caffeine per day, keep in mind you could still be draining your adrenal glands. You know those days when you need to take a break. You feel wrung out, and you need some recuperation time. Well, your adrenal glands need the same thing. The adrenal gland needs time to reproduce adrenaline, so it has some more to release. Be kind to your adrenal glands and monitor your caffeine intake.